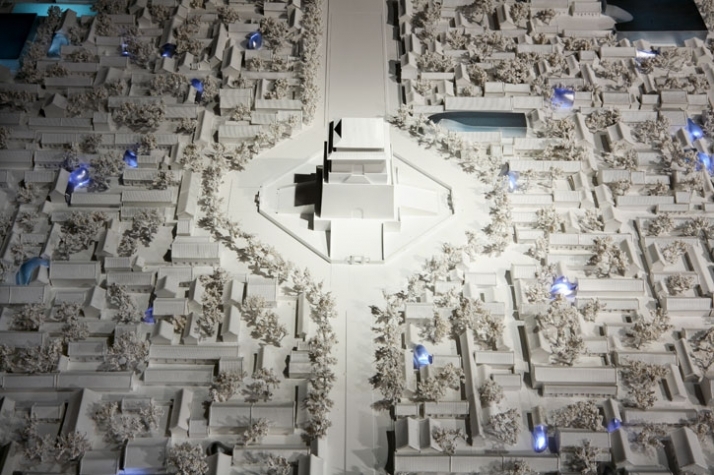 Beijing based MAD Architectural office has designed the following concept project as it represented China in the 2006 Venice Architectural Biennale. The concept // Beijing 2050 // three scenarios for the future of BeijingβÂÂa green public park in Tiananmen Square, a series of floating islands above the city’s CBD, and the “Future of Hutongs,” which featured metallic bubbles scattered over Beijing’s oldest neighborhoods. Today, a year after the closing of the Beijing 2008 Olympic Games, which symbolized the dream and ambition of Beijing for many years, the city is building upon its future. 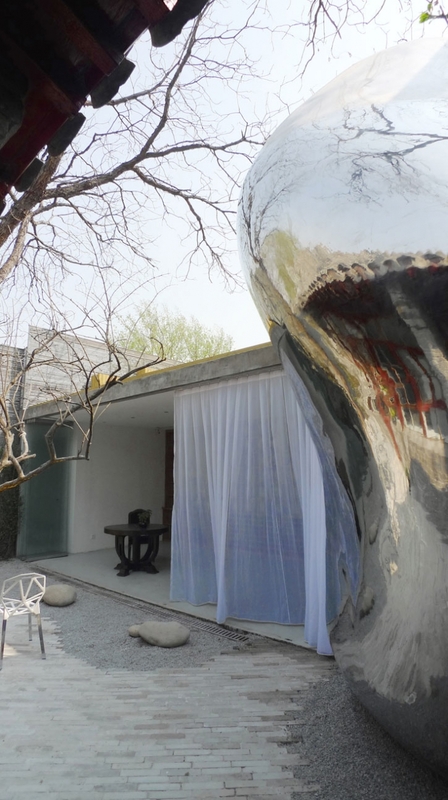 Beyond the Olympic Games and the development in its infrastructure it is necessary for the city to envision an ever-developing future with new possibilities regarding the city’s design…and so appeared the first hutong bubble which blew up in a small courtyard in Beijing! But before we go rambling into details, a hutong is a narrow street or alley, most commonly associated with Beijing, China. In Beijing, hutongs are alleys formed by lines of siheyuan, traditional courtyard residences. 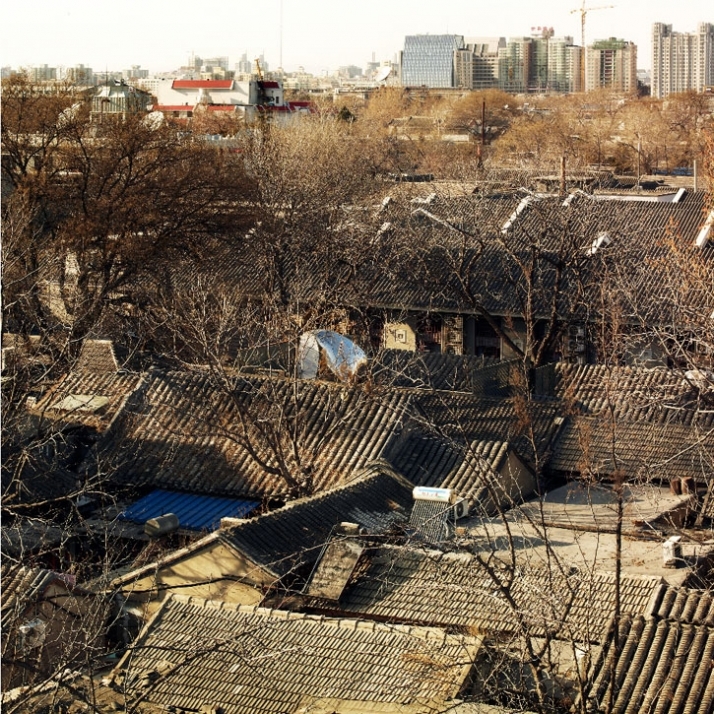 Since the mid-20th century, the number of Beijing hutongs has dropped dramatically as they are demolished to make way for new roads and buildings. More recently, some hutongs have been designated as protected areas in an attempt to preserve this aspect of Chinese cultural history. Having the hutong’s preserved was just the beginning; for Beijing history is an invaluable asset. The city can’t be understood with a grasp of its rich history. The rapid development of the city distorted the urban development of the Old City of Beijing; the dramatic changes led to chaotic, artless, and unstructured renovations to survive the ever-changing district. As if the above was not enough, the poor standards of hygiene had turned the unique living spaces and potential flourishing communities into a serious urban problem. While hutongs are a haven to the wealthy and an attraction for the tourist, they were gradually becoming a dumpster for the inhabitant who had no private bathroom or shower. 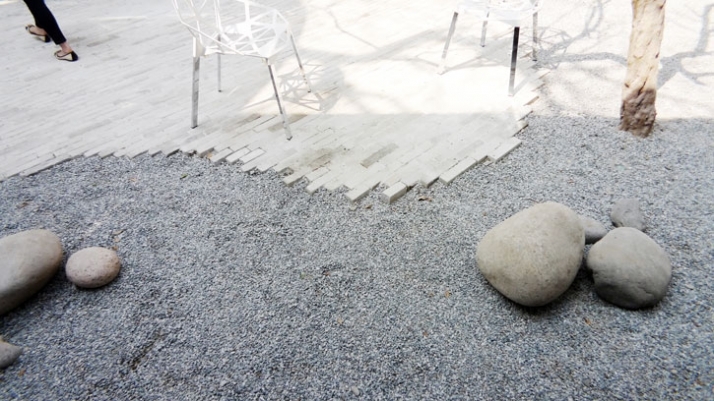 Radical redesigning and small scale interventions were necessary due to the limited space, for the well being of the hutong occupants and the enhancement of their living conditions. 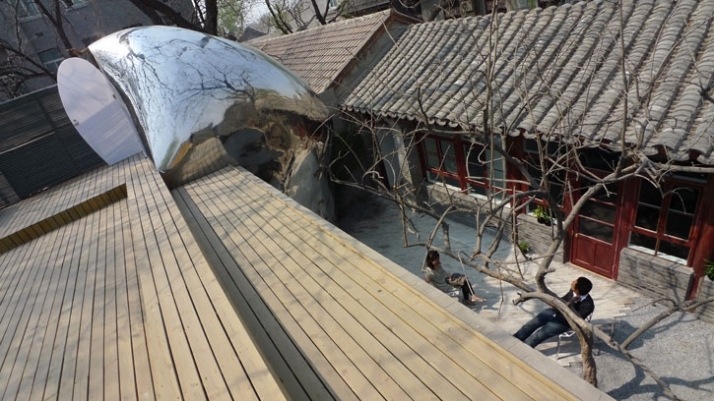 MAD Architects conceptualized the hutong bubbles and integrated them into the urban design scene. The concept of the hutong bubbles is to attract visitors, activities and resources and revive the living in the district. 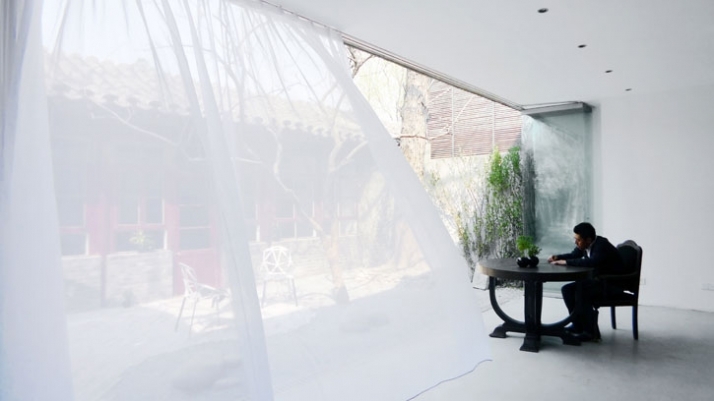 The bubbles co-exist with the traditional courtyard residences as their intention is to multiply radically and fulfill the occupants’ needs while allowing them to live hygienically in the old hutong neighborhoods of Beijing. 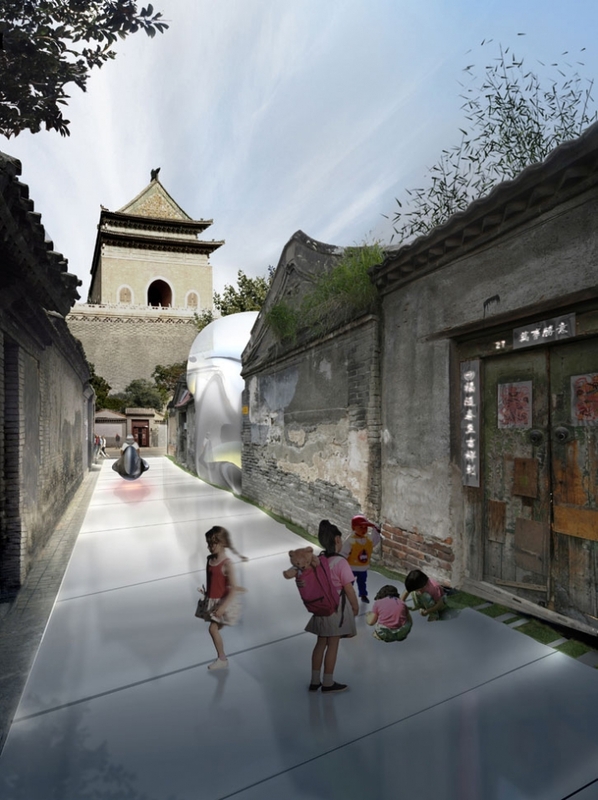 The long term goal is for these hutong bubbles to integrate into the neighborhood, the history and the people of Beijing by giving it an uplifted look by the year 2050. 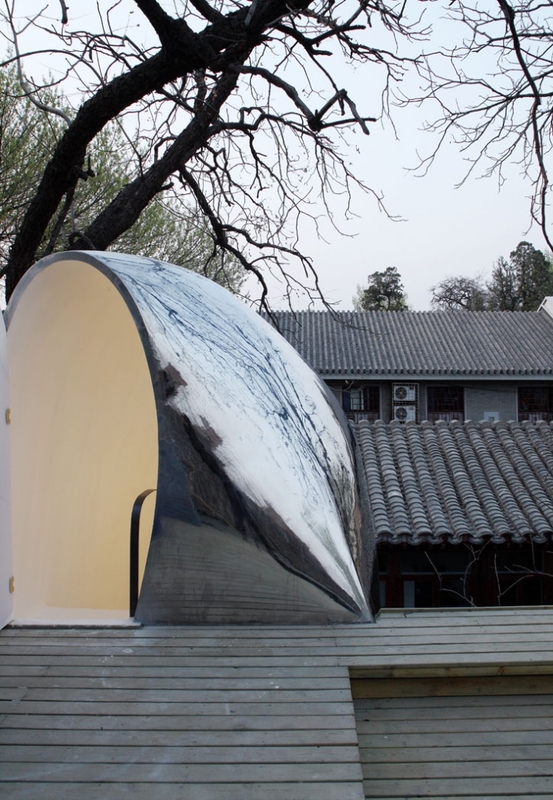 Hutong Bubble 32 is the first which was designed and constructed this year in the hutong district. 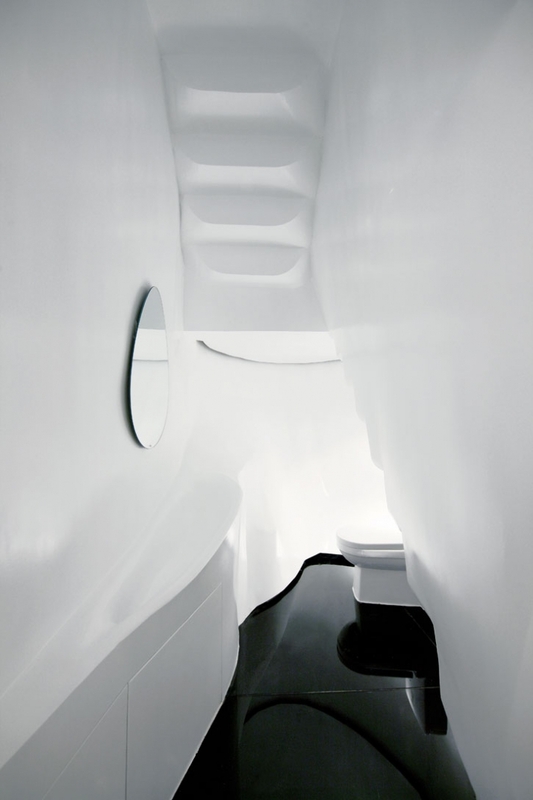 The construction provides a toilet and a staircase that extends onto a roof terrace for a newly renovated courtyard house. 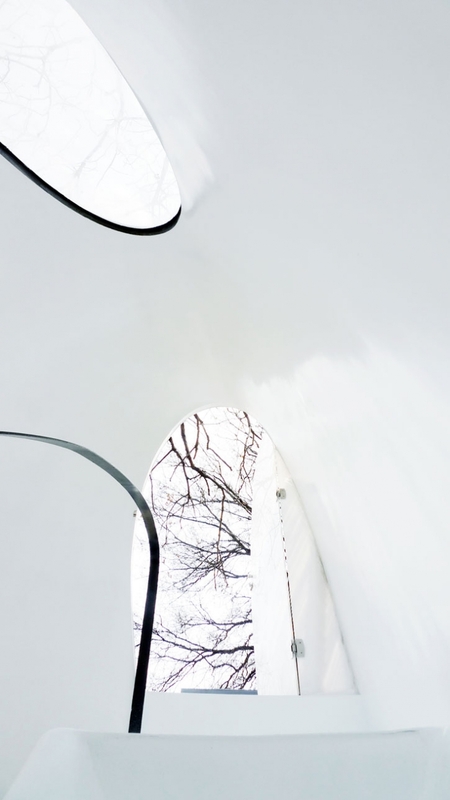 The bubbles shiny metallic exterior makes reference to an alien-like creature or more likely to Ron Arad’s sculptures, while at the meantime the exterior shell reflects the surrounding landscape. 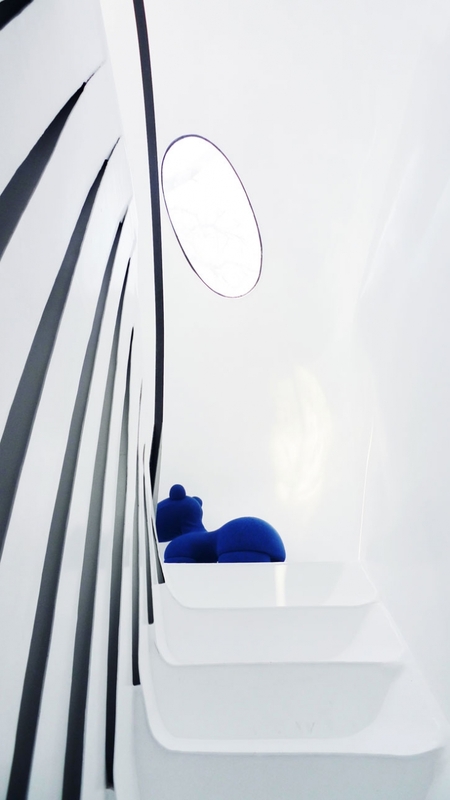 Furthermore, we find it an ideal construction for the area as the metallic exterior reflects light and brings ample of natural lighting into the houses and the dense alley. We hope that the next generations live happily in this land of such historical significance which was very close to becoming a dumpster if there wasn’t efficient and radical intervention by the government and MAD Architects. Some new houses will replace old ones; that’s the law of life and space. The new ones will reflect future life style, and the old and the new will co-exist and complement each other in the space respectively. 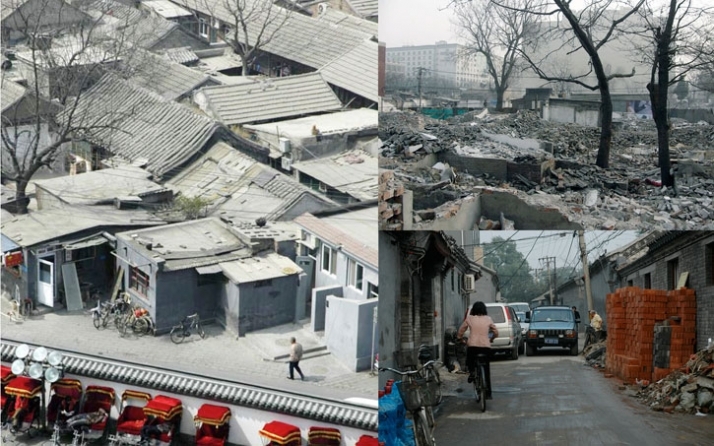 2050’s Hutong values people's life, not just the traditional form.